​Please arrive between 6:30-7 AM to make sure your athlete has time to be body marked (with their race number on their arm) and set up in the transition area. Welcome, announcements and the National Anthem will start around 7:30 AM. ​Please see this map for more info! 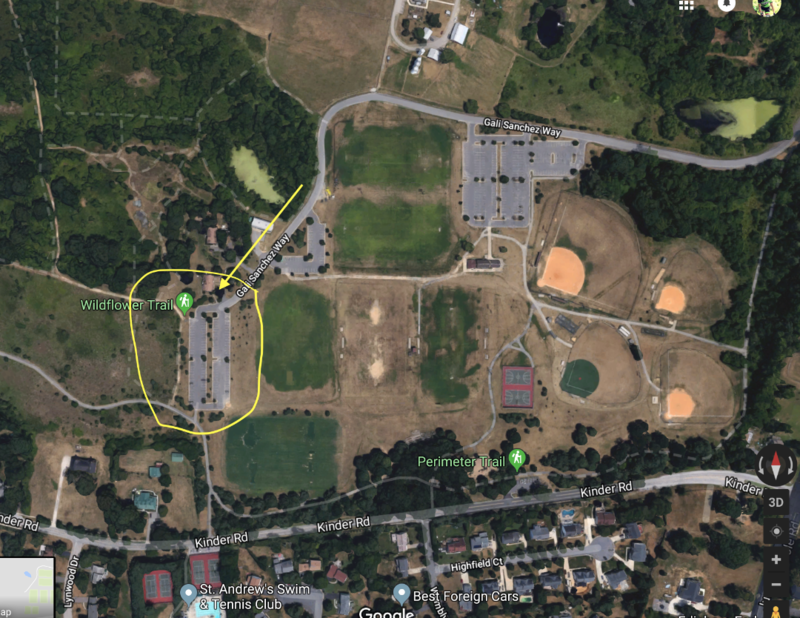 Parking will be at Kinder Farm Park. ​What can I expect on race day? All volunteers will be wearing bright pink shirts. If you have questions – find a volunteer! All athletes will be body marked with their race number on their arm, and their age on their calf. After body marking, we will want all athletes to prep their gear at their bike rack. Please note - parents will NOT be allowed in transition before or during the race, but we will have plenty of volunteers with loads of triathlon experience available to assist your athlete, get them set up, and explain what to do if your athlete has any questions. We will begin having all athletes find their designated age groups. Volunteers will be holding age group signs 5-6, 7-8, 9-10, 11-12, 13-15. Older athletes – feel free to cheer on the younger ones while they wait for your heat!